Tennessee Insurance Hall of Fa..
MTSU dean testifies before Con..
A trio of journalists from The Arizona Republic, winner of the 2018 Pulitzer Prize for Explanatory Reporting for a multifaceted news package, “The Wall: Unknown Stories, Unintended Consequences,” will discuss the project during a free public event set Wednesday, Oct. 3, at MTSU. Reporter Laura Gomez, project manager Annette Meade and interactive graphics editor Mitchell Thorson will talk about what they learned in the project examining the difficulties and consequences of constructing a wall along the U.S. border with Mexico during the Oct. 3 event, set for 11:30 a.m. in the Parliamentary Room, Room 201, of MTSU’s Student Union. The trio also will discuss the project Tuesday, Oct. 2, at 6 p.m. at the John Seigenthaler Center at Vanderbilt University, 1207 18th Ave. S. in Nashville. 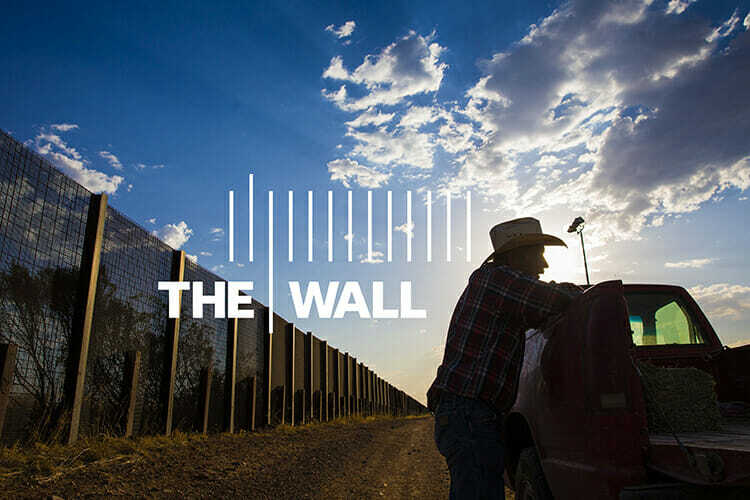 The team, comprising more than 30 reporters and photographers, spent nine months reporting on the proposed border wall, interviewing migrants, farmers, families, tribal members, Border Patrol agents, vigilantes and ranchers and visiting each of the 2,000 miles of the border. The news package included print and online stories, documentary videos, virtual reality that allows the audience to visit three border sites, podcasts, a chatbot, live storytelling and even a newsletter. You can see “The Wall” at www.usatoday.com/border-wall. MTSU established the Seigenthaler Chair of Excellence in First Amendment Studies in 1986 to honor John Seigenthaler, longtime editor and publisher of The Tennessean and founder of the First Amendment Center, and his lifelong commitment to free expression. The Seigenthaler Chair supports a variety of activities related to topics of concern for contemporary journalism, including distinguished visiting professors and visiting lecturers at MTSU, research, seminars, and hands-on training for student journalists. Previous speakers in MTSU’s Pulitzer series have included New York Times war reporter C.J. Chivers, discussing “The Fighter”; Eric Eyre of the Charleston (W.V.) Gazette-Mail, who won his award for investigative reporting on the opioid crisis; David Fallis, deputy investigative editor of The Washington Post, representing the paper’s award-winning project on police shootings; and Bill Adair, founder of PolitiFact. You can learn more about MTSU’s John Seigenthaler Chair of Excellence in First Amendment Studies at www.mtsu.edu/seigenthaler or by contacting director Deborah Fisher at deborah.fisher@mtsu.edu.